In an official event at WWDC 2018, Apple has finally launched the much-awaited next generation of iPhones named iPhone XS, iPhone XS Max, and iPhone XR. The main highlights of these devices are the support for Dual SIMs which is the first time an iPhone will have this feature. The Dual SIM feature will be available with eSIM according to Apple and will be available with multiple carriers across the world. The Apple iPhone XS and XS Max will be available with Gold, silver, and Space Gray color options. The iPhone XR will be available in white, black, blue, yellow, coral and (PRODUCT) RED color options. The iPhone XS is priced at $999 for the base 64GB storage variant, $1149 for 256GB storage variant and $1349 for the 512GB of storage variant. The iPhone XS Max is priced at $1099 for the 64GB variant, $1249 for the 256GB variant and $1449 for the 512GB variant. Lastly, the iPhone XR with 64GB storage is priced at $749, 128GB at $799, 256GB at $899 while the 512GB variant is not available with the XR. You will also notice that 128GB variant is missing from the iPhone XS and XS Max lineup. The iPhone XR will be available starting 19 September and will start shipping from September 26th. The iPhone XS and iPhone XS Max will be available for pre-orders a week earlier from September 14 and will start shipping from September 21st. These devices will be available in multiple regions. 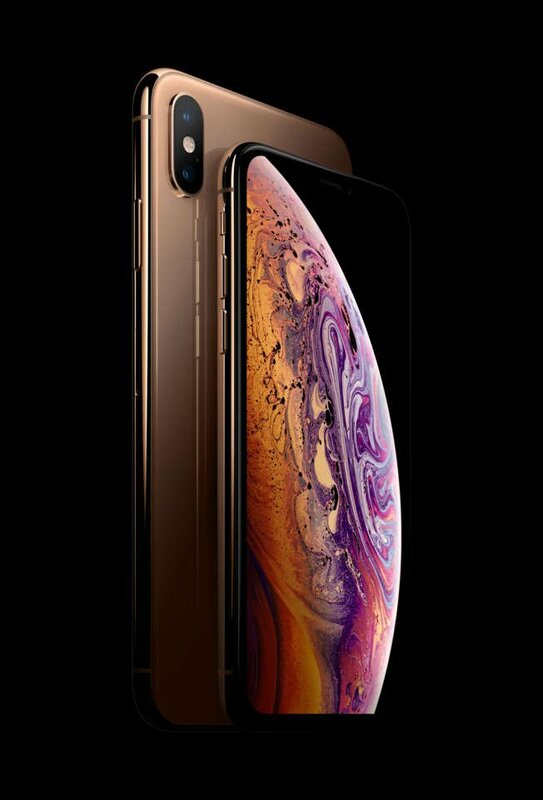 The iPhone Xs comes with a 5.8-inch OLED 458ppi Super Retina HDR display, 1,000,000:1 contrast ratio (typical) 3D Touch and 2436 x 1125 pixels resolution. It is powered by a Six-core A12 Bionic 64-bit 7nm processor with four-core GPU, M12 motion co-processor and comes with 64GB, 256GB, 512GB storage options. It runs out of the box on iOS 12 and comes with water and dust resistant option with IP68 ratings and also supports Dual SIMs (nano + eSIM worldwide or physical Dual-SIM only in China). It carries a dual rear camera with two 12-megapixel wide-angle (f/1.8) and telephoto (f/2.4) cameras, Dual optical image stabilization, Optical zoom; Six‑element lens, Quad-LED True Tone flash, 4K video recording at 60 fps, Slo‑mo 1080p at 240 fps. It comes with a 7-megapixel front camera with f/2.2 aperture, 1080p video recording, Retina Flash. It has a built-in rechargeable lithium-ion battery with Qi wireless charging, fast charging support and up to 12 hours of internet usage. It supports 4G VoLTE, WiFi 802.11 ac with MIMO, Bluetooth 5.0, NFC with reader mode, GPS with GLONASS and comes with the support of TrueDepth camera for FaceID facial recognition, Stereo speakers and four microphones. It measures 143.6×70.9×7.7 mm and weighs 177 grams. 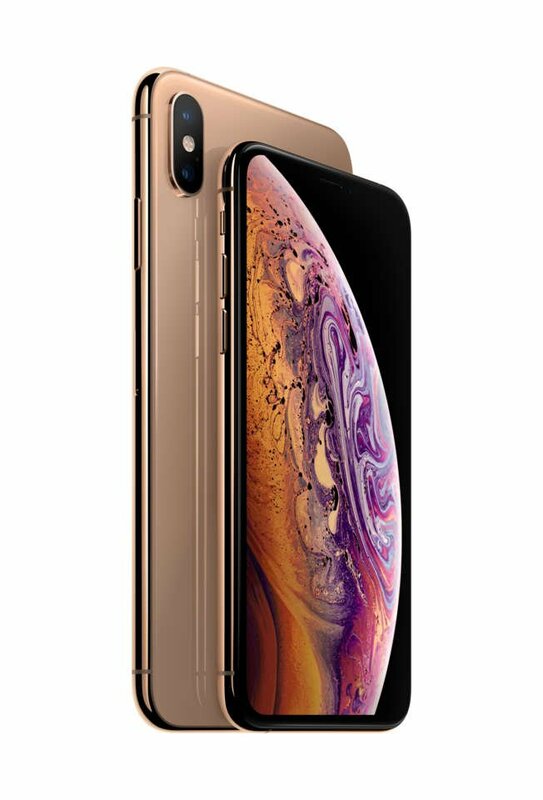 The bigger iPhone XS Max features a bigger 6.5-inch OLED 458ppi Super Retina HDR display, 1,000,000:1 contrast ratio, 3D Touch and 2688 x 1245 pixels resolution. It is powered by a Six-core A12 Bionic 64-bit 7nm processor with four-core GPU, M12 motion co-processor and comes with 64GB, 256GB, 512GB storage options. 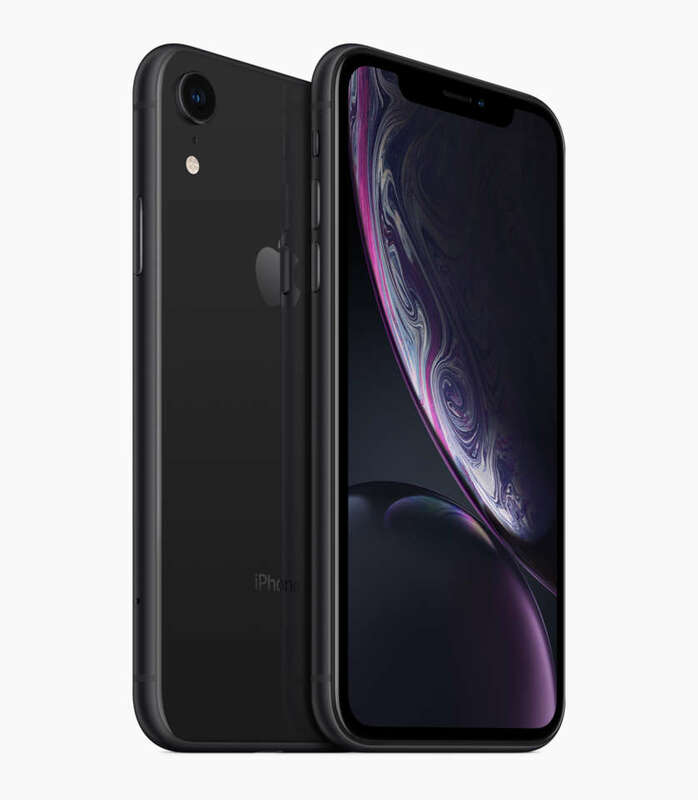 It runs out of the box on iOS 12 and comes with water and dust resistant option with IP68 ratings and also supports Dual SIMs (nano + eSIM worldwide or physical Dual-SIM only in China). It carries a dual rear camera with two 12-megapixel wide-angle (f/1.8) and telephoto (f/2.4) cameras, Dual optical image stabilization, Optical zoom; Six‑element lens, Quad-LED True Tone flash, 4K video recording at 60 fps, Slo‑mo 1080p at 240 fps. It comes with a 7-megapixel front camera with f/2.2 aperture, 1080p video recording, Retina Flash. It has a built-in rechargeable lithium-ion battery with Qi wireless charging, fast charging support and up to 13 hours of internet usage. It supports 4G VoLTE, WiFi 802.11 ac with MIMO, Bluetooth 5.0, NFC with reader mode, GPS with GLONASS and comes with the support of TrueDepth camera for FaceID facial recognition, Stereo speakers and four microphones. It measures 157.5×77.4×7.7 mm and weighs 208 grams. Finally, the iPhone XR features a 6.1-inch LCD 326ppi Liquid Retina display, 3D Touch and 1792 x 828 pixels resolution. It is powered by a Six-core A12 Bionic 64-bit 7nm processor with four-core GPU, M12 motion co-processor and comes with 64GB, 128GB,256GB storage options with no 512GB storage option. It also runs on the iOS 12 and supports Dual SIMs (nano + eSIM globally or physical Dual-SIM only in China). It comes with water and dust resistant feature as well with IP67 ratings. It has a single rear camera with a 12-megapixel wide-angle (f/1.8) camera, optical image stabilization, True Tone flash, 4K video recording at 60 fps, Slo‑mo 1080p at 240 fps. It also has a 7-megapixel front camera with f/2.2 aperture, 1080p video recording, and retina flash. It carries a built-in rechargeable lithium-ion battery with Qi wireless charging, fast charging and up to 15 hours of internet usage. It supports the true-depth camera for FaceID facial recognition and also has stereo speakers. It comes with 4G VoLTE, WiFi 802.11 ac with MIMO, Bluetooth 5.0, NFC with reader mode, GPS with GLONASS connectivity options. It measures 150.9×75.7×8.3 and weights 194 grams. The company has also launched the rumored Apple Watch 4 in the event and has also announced that the iOS 12 OS will start rolling from September 17th to the supported iPhones along with HomePod and tv 12 with Atmos and Watch OS 5.0 update. The macOS Mojave will start rollout from September 24th.